In October 2002 I discovered a brightly coloured scarf dropped on the street outside the house I was living in at at the time. A few days later, whilst visiting the local convenience store at the end of the same street I saw a notice had been put up in the window. 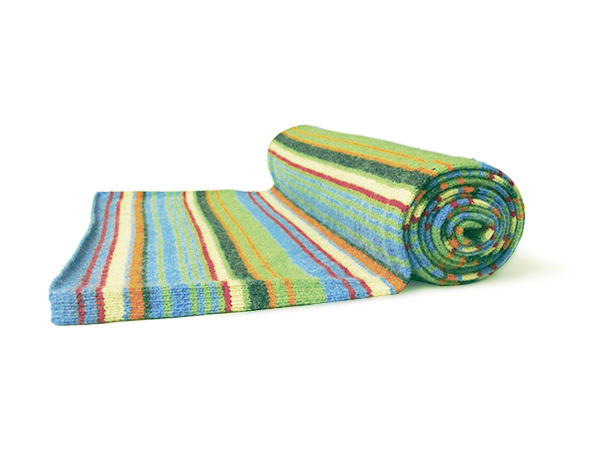 It stated 'LOST - A STRIPEY COLOURFUL SCARF WITH MUCH SENTIMENTAL VALUE - IF FOUND PLS CALL LUCY ON 07866 368798'. I discretely removed the notice from the window and returned home with it where it was was then stored with the scarf. A few months later the cleaned scarf and notice went on show at an exhibition. 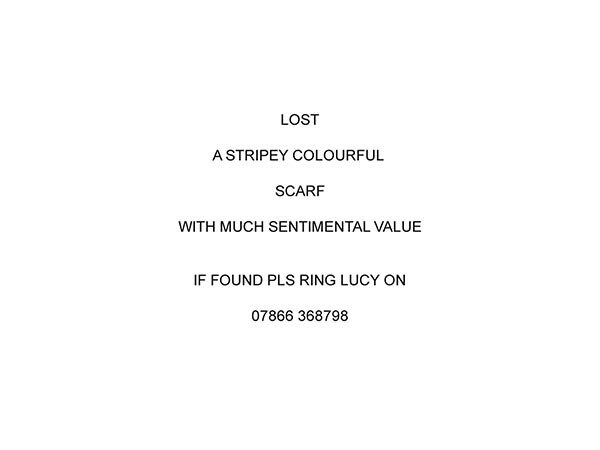 The two items together presented the opportunity for any viewer to decide whether to help Lucy be re-united with her scarf or not. On Sunday 19th January 2003, just 48 hours after the opening of the exhibition, I received word that the scarf had gone missing. To this day it is unknown whether Lucy ever got her scarf back.